The Pound Sterling Mexican Peso (GBP/MXN) exchange rate has continued to slide this afternoon, and is currently trading at a rate of Mex$26.0968, as the release in the Mexican unemployment figures for October turned out better than expected. This represents a fall of over 1.20% on the day. The Mexican economy is looking upbeat with a better-than-expected decrease in unemployment from 3.6% to 3.2%, despite the predicted fall of only 0.2% to 3.4%. In the latest piece of Brexit controversy, research from the London School of Economics, King’s College and the Institute for Fiscal Studies has shown that the cost to public finances could be as much as 1.8% of Gross Domestic Product (GDP) if the UK leaves the EU compared to if it had stayed in. Comments made by Donald Trump are likely to have been one of the causes for Sterling slumping this morning, with the US President opining that the current agreement ‘sounds like a great deal for the EU’ and also meant that the UK may not be able to sign a trade pact with the US. Despite this, Downing Street has insisted that it is ‘very clear’ the UK would be able to sign trade deals with countries around the world, including the US. As Theresa May begins her quest of getting a divided Parliament to agree to back her Withdrawal Bill, as it is the best deal available, as head of the European Commission noted Britain would be ‘disappointed’ as this would be the ‘only’ deal. The Democratic Unionist Party (DUP) have stated that they will be unable to support the Prime Minister as it is felt Northern Ireland is being treated differently from the rest of the UK. The end of last week’s session saw a better-than-expected figure for Mexico’s first half month core inflation for November, as despite a predicted growth to 0.18%, it increased to 0.19% from the previous 0.17%. Yesterday saw the release of Mexican retail sales figures, which showed that September growth from the previous month had gone up from -0.3% to 1.0%. Year-on-year, retail sales in Mexico also grew, with a higher-than-expected figure of 4.1% compared to the predicted growth to only 4.0%, which was up from 3.9% this time last year. Despite this growth, when the figures were released the GBP/MXN exchange rate rose briefly, before slumping later in the evening. 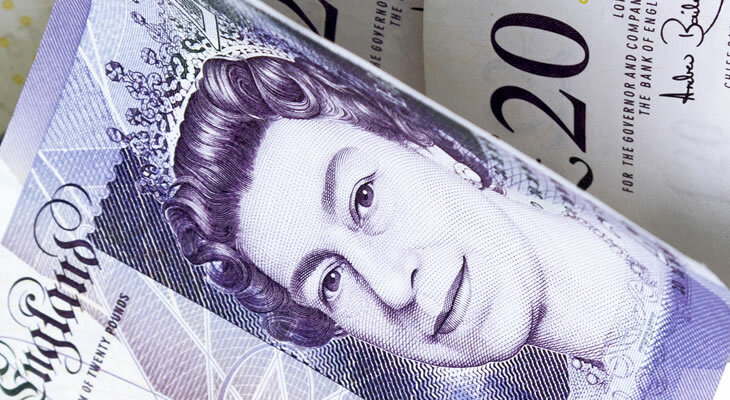 Brexit remains in the spotlight for Sterling and is likely to be the catalyst for any movement within this currency pairing over the next few days. Any movement in GBP/MXN is likely to be due to Brexit or the Mexican fiscal balance that is set to be released on Friday. If there is any growth in the federal deficit it is likely that the GBP/MXN exchange rate will rally.